Gait Analysis: An Introduction focuses on the systematic study of human walking and its contributions in the medical management of diseases affecting the locomotor system. The book first covers normal gait and pathological gait. Discussions focus on common pathologies affecting gait, amputee gait, walking aids, particular gait abnormalities, gait in the elderly and the young, moments of force, energy consumption, gait cycle, muscular activity during gait, and optimization of energy usage. The manuscript then elaborates on the methods of gait analysis, including visual gait analysis, general gait parameters, timing the gait cycle, direct motion measurement systems, electrogoniometers, electromyography, accelerometers, gyroscopes, and force platforms. 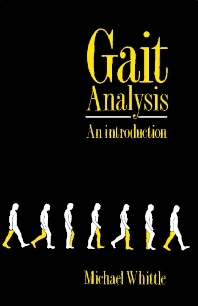 The publication tackles the applications of gait analysis, as well as clinical gait and scientific gait analysis, normal ranges for gait parameters, conversions between measurement units, and computer program for general gait parameters. The manuscript is a valuable source of data for students of physical therapy, bioengineering, orthopedics, rheumatology, neurology, and rehabilitation.